Whilst we look to do large schemes around the Manchester area, we are also very keen to take on smaller developments locally. The great thing for you is that we provide the same high level of service, and use the same cutting edge technology for the smaller projects, as we do for the multi-unit housing schemes. This means that from early on you will be able to view our proposals in full 3D on your computer or tablet, and see exactly how it will look. Not only that, but for all new projects that we started before the end of February 2014, upon the decision of your planning application, we will give you a 1:200 3D Printed model of your project. Why should you choose us as your Architectural Consultants? We will meet with you to discuss your requirements for FREE. Following that initial meeting, we will promptly confirm in an email the services we believe you require, together with a price. No matter how many reasonable alterations are required by you as the client, or the planning authority, as long as the scope remains the same – OUR SET PRICE WILL NOT CHANGE. Everything we draw, post feasibility, is in full 3D – This not only means that you will be able to tour the proposed building on your computer or tablet, but it also enables us to make best use of roof/building voids, and significantly reduces (if not totally illuminate) design errors when you come to build (which can often be found (too late) in a 2D design route). 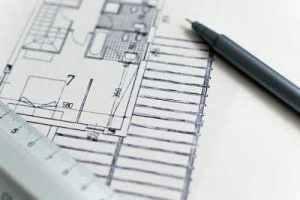 We have extensive experience in working with the local planning departments, and have a great understanding of the planning process, and how to work within it. We offer a friendly, local, and above all professional service that you can rely upon! We appreciate that cost is very important, but when comparing fees, consider how much a professional’s salary is per hour, and divide the fee by this. Then consider how many meetings we may have, telephone conversations, how many days/weeks it will take to draw the project, change the drawings, change the drawings, print drawings, submit the planning application drawings and forms, liaise with the planners, change the drawings, change the drawings, liaise with the planning officer etc. We will not be the cheapest architectural service you can find, but our clients keep coming back to us because of the very high quality and professional service that we guarantee – In the end, we believe you will agree that we were good value. Your fee is more than our last architect but your work thus far has far exceeded what the previous had done, it does appear to be significantly more professional and modern compared to the last, so I am happy with the further cost as I believe that this submission is a far more professional one in not just the drawings but the approach to the council. Please contact us to discuss your Grand Design!